The nearest town is Quesada. Up on the hill is the bustling Quesada market, Mercado de Artesania. We did the shopping there. Everything was so fresh and colorful. 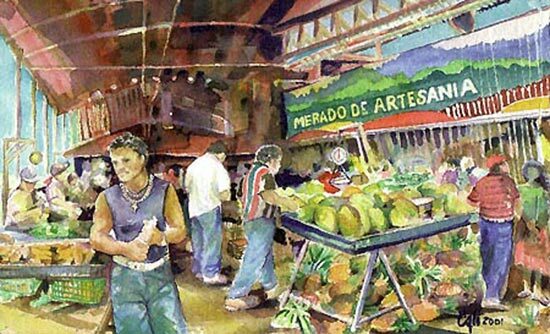 Of course, the artist got involved in the vegetables and spelled "mercado" wrong. That's what we call artistic license.